Coffee definitely has antioxidants. There are approximately 1,000 antioxidants in green coffee beans, and the heat from brewing these beans adds an additional 300. Some fruits and vegetable have more antioxidants than coffee, but Americans don’t eat all of the fruits and vegetables they should. A 2005 study by researchers at the University of Scranton (Pa.) found that coffee is the number one source of antioxidants for Americans. The chart below shows that coffee blows away the competition. Conclusion – Coffee is a very good source of antioxidants. In fact, flavoniods are the largest nutrient family known to scientists. Over 6,000 unique flavonoids have discovered so far, but there is still lot of research and work to be done. 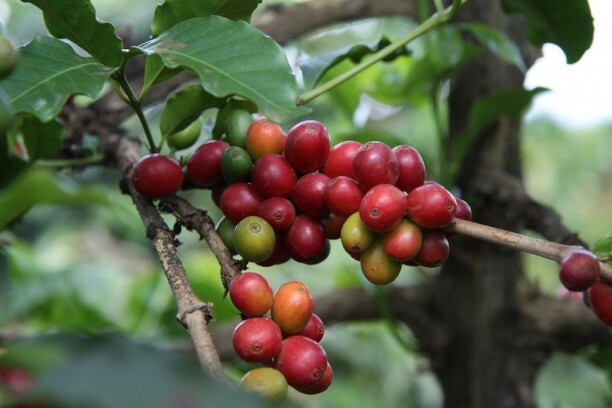 Flavonoids have been proven to have antioxidant properties, but it is not clear if they should be considered to be in the same category as more widely known antioxidant nutrients like vitamin C or vitamin E.
So, what do flavonoids have to do with coffee? According to this article by NPR, researchers found that some studies found that people who had diets high in antioxidants had a lower risk for , but in other studies the consumption of antioxidants did not lower the risk for stroke and dementia. After further research, it was concluded that antioxidants in the form of flavonoids were the ones with the most health benefits, and coffee is full of antioxidants in the form of flavonoids. More research has to be done, of course, but that’s certainly good news for coffee drinkers. All photos licensed by CC-BY-2.0. Featured photo bystar5112, Coffee Tree photo by Coffee Management.